We really do not realize how many scratches and imperfections our car has until getting a full detail! I was recently approached by the nationwide company, Carsmetics about their services. 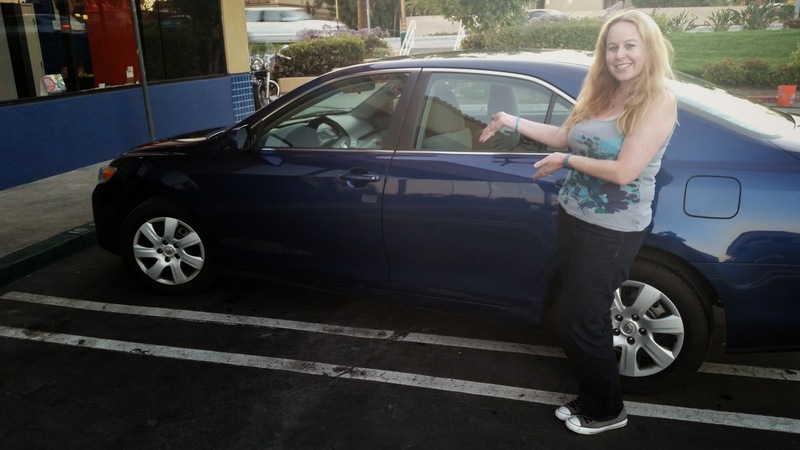 They conveniently have 4 locations in California that happen to be in the Orange County area! These 4 locations are in Anaheim, Irvine, Costa Mesa, and Lake Forest all managed my OC President of the company Bob Plutch and managing partner, Helen Baxter! When Carsmetics invited me to come in and check out what they were all about, I of course kindly obliged. 🙂 While I got my car in 2012, it already had so many scratches all over the car. These small scratches most likely came about from setting my keys down on my car or gently brushing up against my car with groceries or a backpack or even a purse. 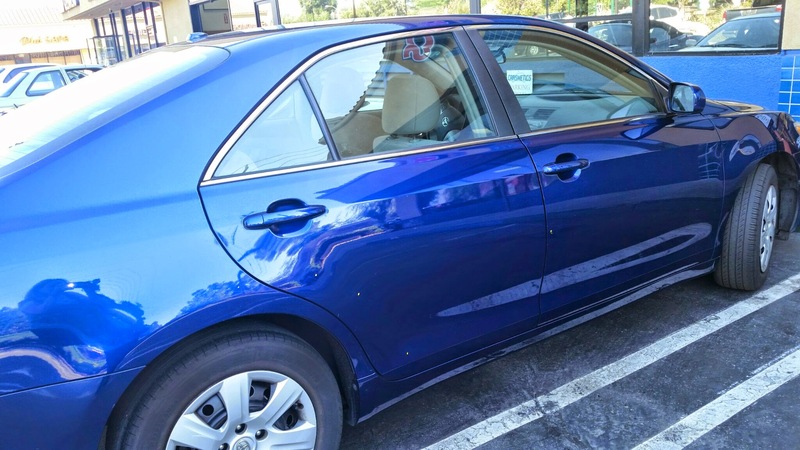 The debris from outside that falls on my car daily when it is parked in my work parking lot has also helped to weather and damage the shiny & shimmery blue paint on my car. 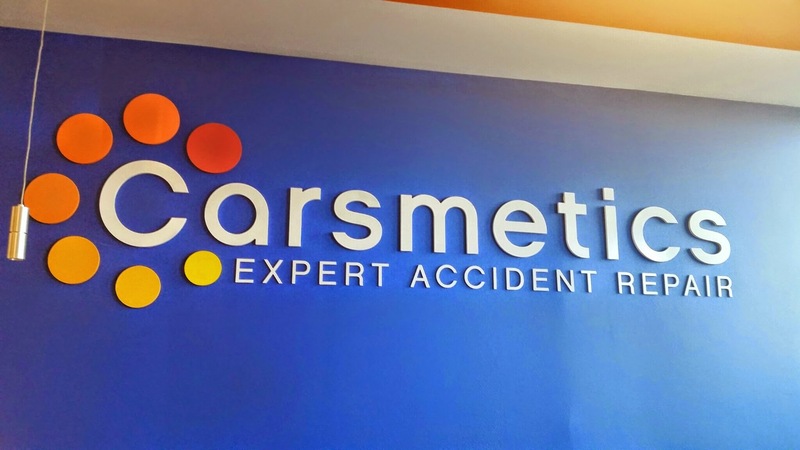 Carsmetics is an expert accident repair company, but they also cover a variety of other car beautification services, such as Auto Body Repair, Bumper Repair, Dent Repair, Hail Damage Repair, Headlight Restoration, Paint Color Matching, Paintless Dent Removal, Wheel Repair, and Scratch Repair. 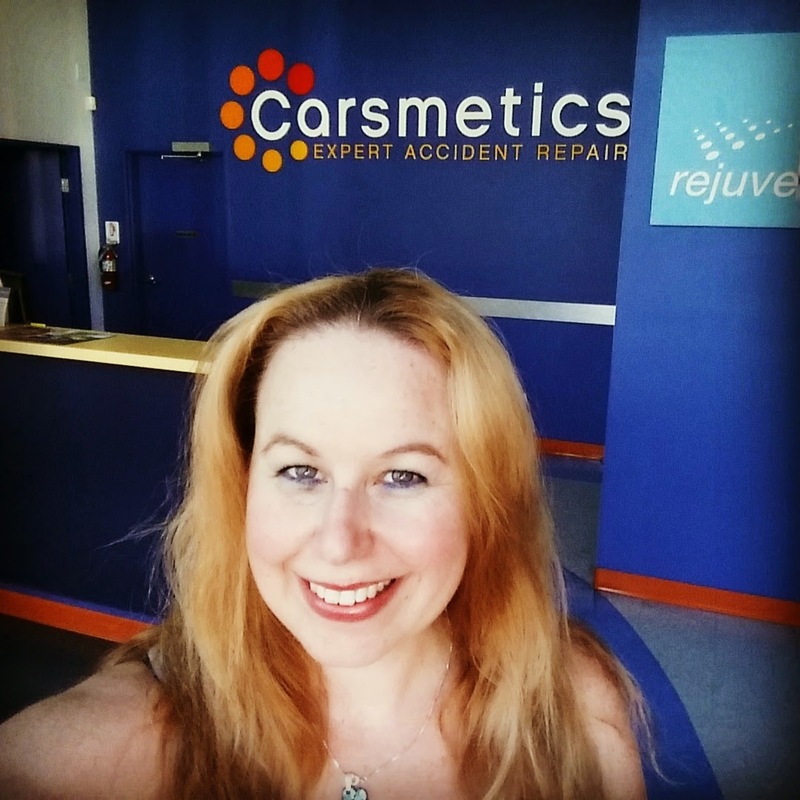 I decided to take my car in to Carsmetics to see what they had to offer! I first went to visit the Irvine location on a Thursday afternoon & met with Danny. 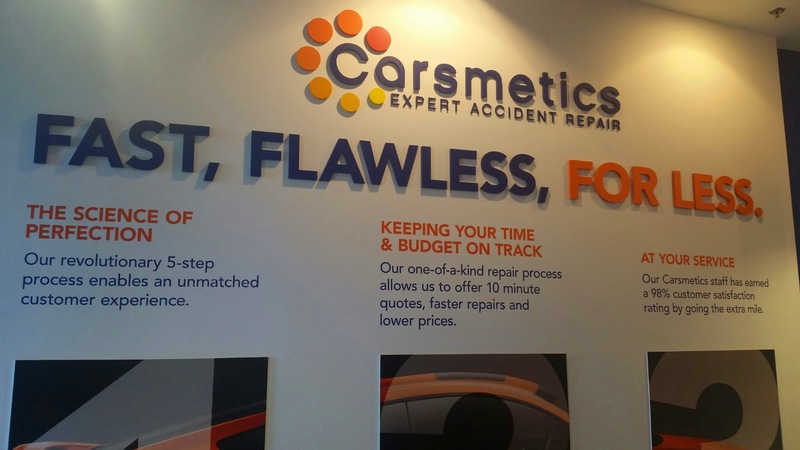 The first step when working with Carsmetics is to simply stop by in person with your car so they can do a guaranteed quote. This quote is really so that they can see how much time is needed to complete the job and just what the extent of the work is, as well as the price they will charge. Prices are on a case by case basis after assessing damage and type of car. Danny examined my car and determined that my job would take about 2 hours and that he would need to reschedule me to come back another day. For my car, with there being so many small scratches everywhere, it was going to need a full buffing job/executive exterior detail. This job would typically cost around $225. The following week I made my way over to the Lake Forest location to meet with Dave and he proceeded to thoroughly examine each and every inch of my car to see exactly what my job would entail. 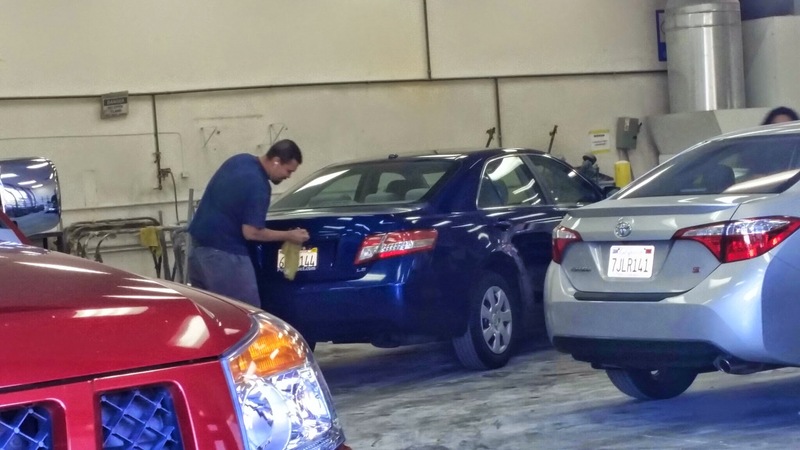 After examining my car, he told me it would be about 1-2 hours and so the process began…He started by dabbing on all of my scratches with a yellow marker made to mark cars that easily wipes off. There were so many yellow areas; Dave’s guess on time was a little less than the time my car ended up taking to get beautified. I did not mind though one little bit because I was excited to see what my car would look like when they were complete! It took 3 hours to complete the Executive detail on my car and remove each and every scratch that ever existed on my car from the last 3 years! This was well worth the wait! 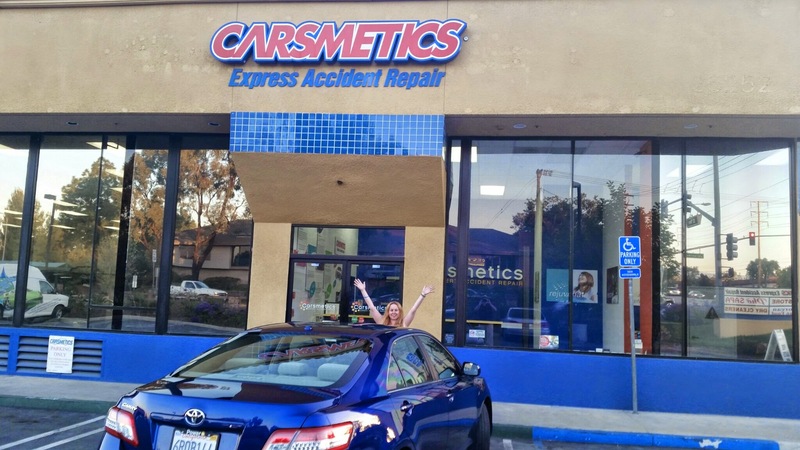 Another awesome feature about Carsmetics is that you do not even have to wait! They have rental cars available for you at the site, which of course is necessary if you have a job that will be completed in more than just a few hours! As I saw Dave and his team finishing up my car, it looked so gorgeous, sparkly and shiny…just like new! 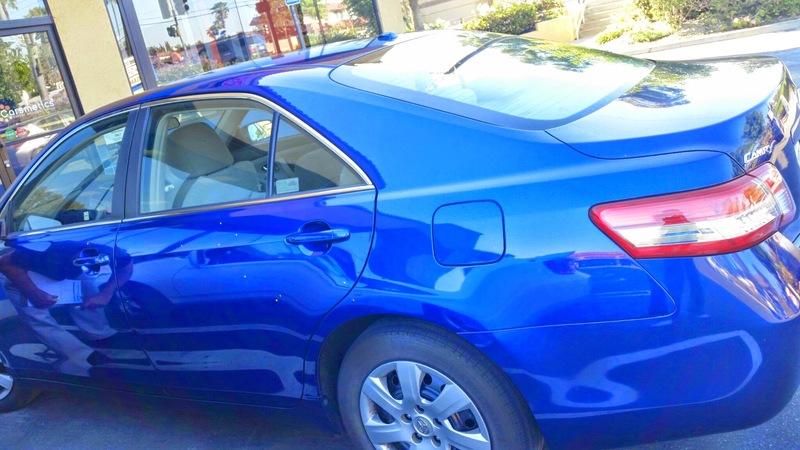 When they drove my car out of the garage they proceeded to give my car a bath to make sure to get off every last bit of wax and buffing cream and I seriously felt like I was driving home a brand new car…except for the inside…but that is something I need to clean up! I was so impressed with the job they did at Carsmetics and I highly recommend them, so I want to share an awesome deal with all of you! If you show my advertisement photo on my article here or mention Dani’s Decadent Deals when you visit any of the 4 Carsmetics locations in Irvine, Lake Forest, Costa Mesa, or Anaheim you can receive 20% off all of your labor on services and receive a $5 Starbucks gift card!! All you have to do is show the ad printed out or on your mobile phone and mention Dani’s Decadent Deals sent you! This is an awesome deal you must take advantage of because they truly do such a great job! I would love to hear your experiences below when you visit Carsmetics and take advantage of my awesome offer above! Cheers to all of us having brand new looking cars! Carsmetics definitely has fabulous customer service and they will take care of you and treat you well! 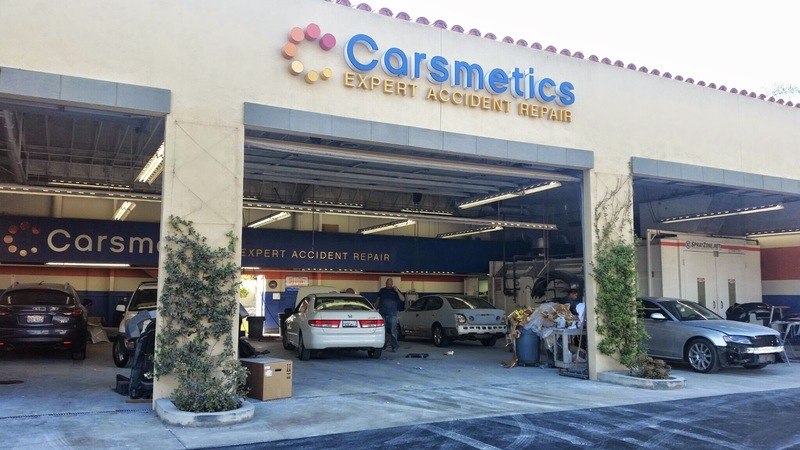 I look forward to your comments below about your experience at Carsmetics! Thanks for sharing, I hadn’t heard of it before but it sounds like a great idea to me! Thanks for your comment! I hope you get to take advantage of this awesome deal! You are so very welcome:) Hope you get a chance to take advantage of this program! Elle, they actually do have several Florida locations. Check it out: http://www.carsmetics.com/Florida/ There are 8 of them! I would like to say big thanks for this effort. keep sharing such kind of article here. I’m happy to find this site which have a lot of useful and helpful article. You are so very welcome! Enjoy their awesome services!